Creating a space for expansion and change. 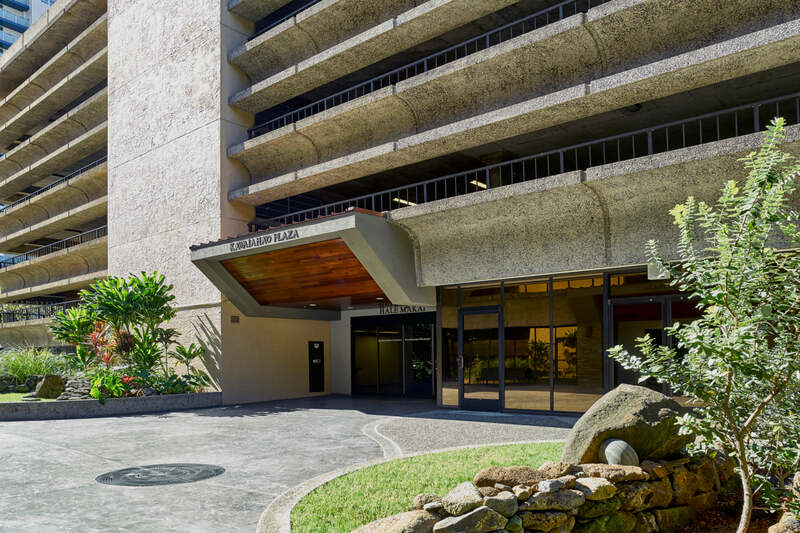 At their corporate offices at Kawaiaha‘o Plaza, Kamehameha Schools turned to AHL to help create a more inviting lobby space and courtyard for employees, students, and visitors alike. 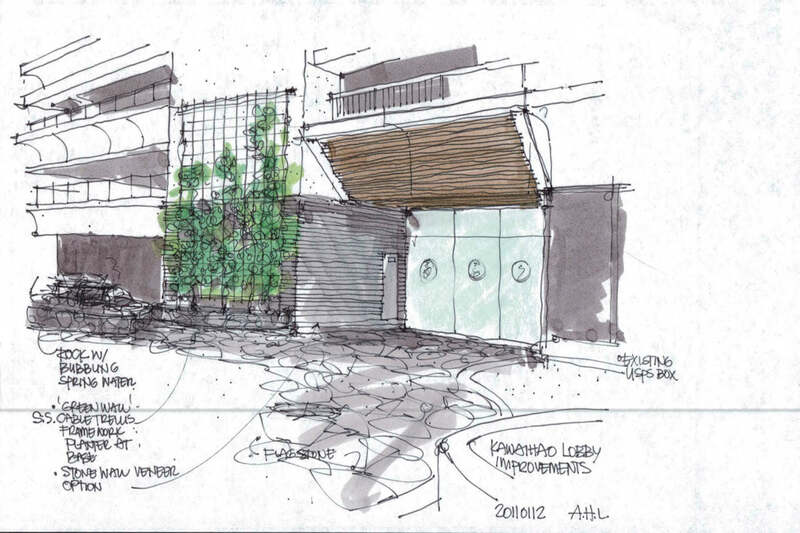 The design incorporates an Island Modern-style space while establishing a strong sense of arrival through refined finishes, furnishings, and framed awnings. 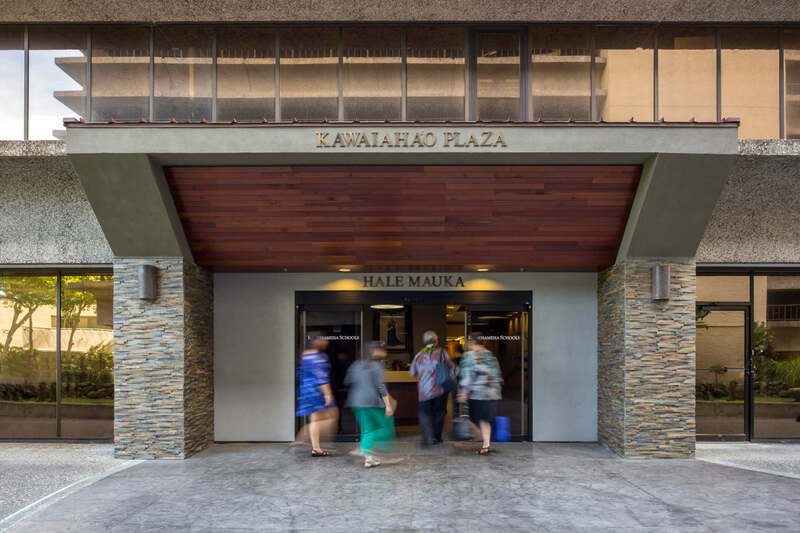 Subtle, complementary wayfinding elements are used throughout the interior and exterior spaces including pathways through the courtyard representing the old ali‘i trails. 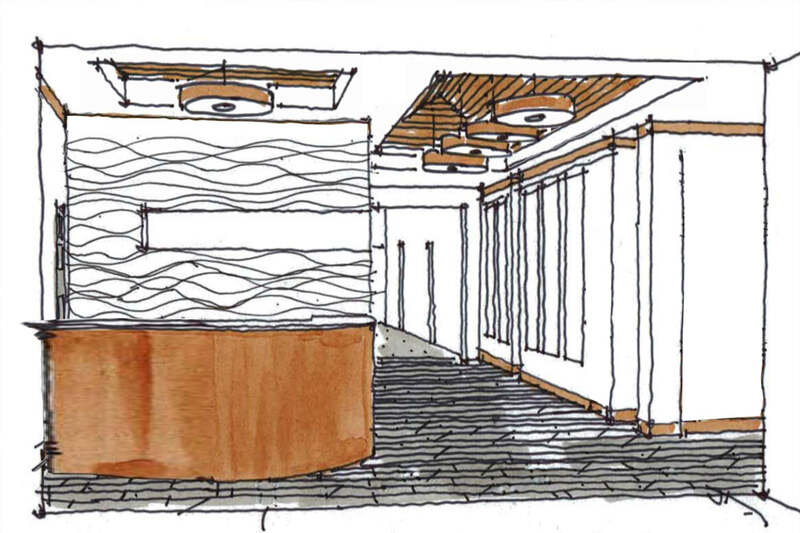 Materials used include indigenous stones, copper metal, and native wood.